When Manos fan Ben Solovey discovered the precious original footage in 2011, the film “looked like it had been run over by a truck.” Nevertheless, Solovey trumpeted his find online, attracting the attention of both Roger Ebert and MST3K’s Mike Nelson, and was able to raise $50,000 on Kickstarter to restore the film to its former quasi-glory. The director’s heir, Joe Warren, strongly felt that his dad’s movie was not in the public domain and that the Warren family was entitled to some cut of whatever proceeds Manos: The Hands Of Fate was able to reap, including T-shirt sales. Another unexpected combatant in the fight over Manos is actor-turned-artist Jackey Raye Neyman-Jones, who as a girl portrayed Debbie in the film and whose father, Tom Neyman, played the Master and designed some key Manos props and costumes, including the Master’s robe and portrait. She, too, now finds herself in conflict with Joe Warren. 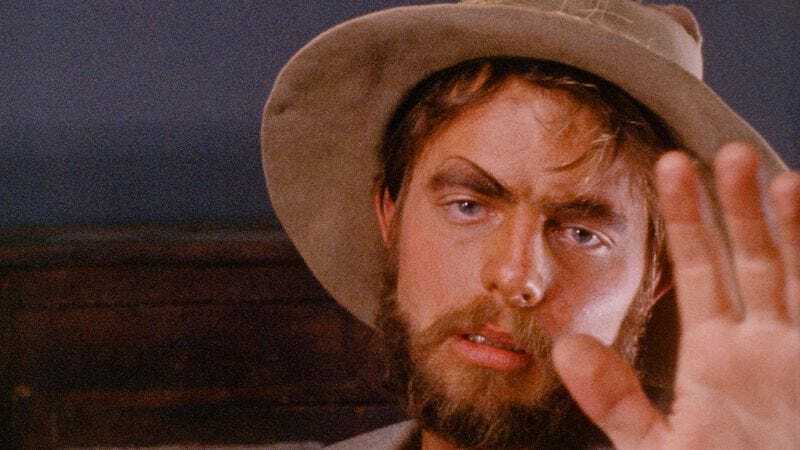 A wild card in the already-convoluted Manos saga is a mysterious man named Rupert Talbot Munch Sr. who has made numerous YouTube videos in character as Torgo and who “attempted to install himself as the curator of the Manos estate” after trying and failing to produce a sequel to the 1966 film. Munch’s main accomplishment thus far has been strong-arming his way into RiffTrax’s live showing of Manos in 2012. While all of these people settle their differences over a movie nobody wanted for decades, the restored version of Manos: The Hands Of Fate lands on Blu-ray this month from Synapse films.